Portland also called Portland Subway, is a subway station on the Liberty City Subway on Portland, Liberty City in Grand Theft Auto III. The station is located at the border between Chinatown, the Red Light District, and Saint Mark's. The station is in close proximity to Rothwell station, a stop on the Portland El. 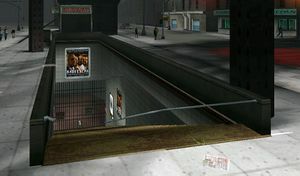 Like other stations in the city, the station is originally unnamed in GTA III; the station's name was later retconned as "Portland Station" in GTA Liberty City Stories. This page was last modified on 9 August 2012, at 13:52.